On school days, young adolescents (12 to 16 years) get 55% of their physical activity on school grounds. But recent research suggests that's not enough. As reported by the Los Angeles Times ("More exercise at school may be key to improving teens’ health" – December 2015), only 8% of students get the recommended 60 minutes of exercise per day. 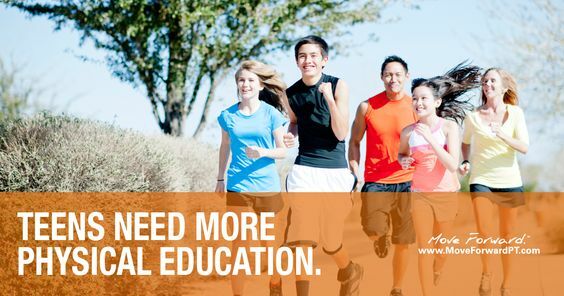 To make up the difference, “a typical school would need to devote 7.5% of its instructional time to physical fitness,” instead of the 4.8% found to be the average in a recent study published in Pediatrics (“Locations of Physical Activity as Assessed by GPS in Young Adolescents” – January 2016). "Because adolescents spend so much time at school, even a small increase in the proportion of at-school time spent physically active could lead to meaningful increases in overall physical activity and metabolic health," the study authors wrote.